We don't have a popcorn bucket but my son would love to have one. Popcorn is my favorite food and I love Pluto, this is a match made in heaven. I love popcorn but I don't own any popcorn buckets. I love this one though! I can see eating this with my family while we play games and watch movies. 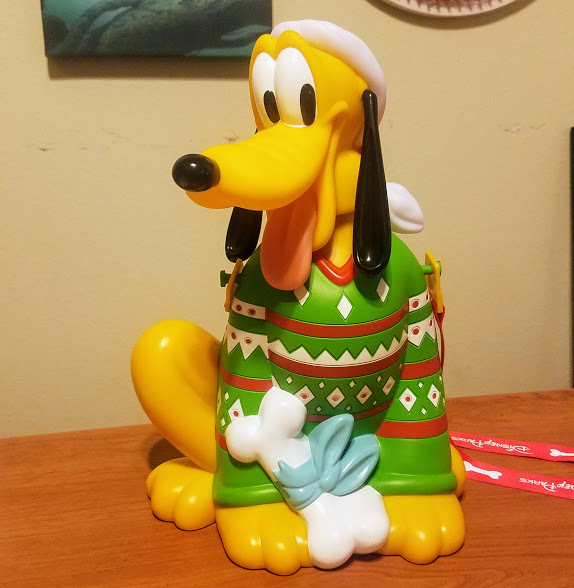 We don't have any popcorn buckets, but this one is really cute! I’m a Disney World annual passholder in Florida. I love all things Disney! But, this year all I wanted was a popcorn bucket. When I was able to make my way to Disney. They had all been sold out!! I need one of those cute little Pluto’s!!! Plus lord only knows I love popcorn! My daughter collects them. Her favorite is the Mickey Christmas one from 2015. She uses it to decorate her bathroom for Christmas. I don't have one. Pluto is adorable and I'd love him in our home.